The Kiwanis Club of Rock Island has achieved Blue-level Today Club status for the 2016–17 Kiwanis year. That means our club’s unrestricted gifts and the unrestricted gifts from our club members to the Kiwanis Children’s Fund reached a per-member giving average of US$10. Congratulations! 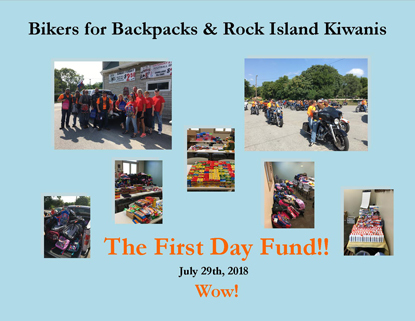 On July 29, 2018 Kiwanis Club of Rock Island members and Rock Island Milan School District teachers team up with Steel Militia for Bikers for Backpacks to help students succeed through the First Day Fund of Rock Island. To Improve the Quality of Life for Children and Families in the Quad Cities and Abroad. 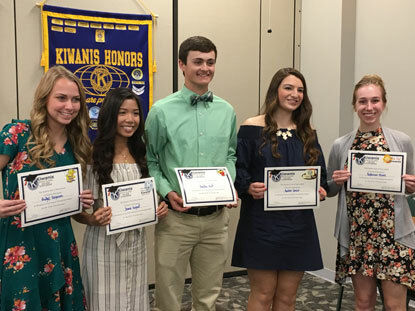 The Kiwanis Club of Rock Island is one part of Kiwanis International, a global organization of volunteers dedicated to changing the world, one community and one child at a time. 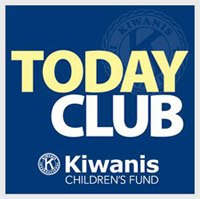 The Kiwanis Club of Rock Island performs many community service projects in Rock Island to help serve children. 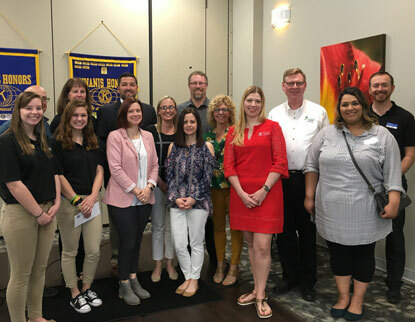 If you are interested in performing community service and helping children in Rock Island, we encourage you to learn more about the Kiwanis Club of Rock Island here on our site and welcome you to join us for a meeting. Check our Information page or Activities Calendar for information about our meeting day, time and place. Rock Island Kiwanis Club monthly food distribution. 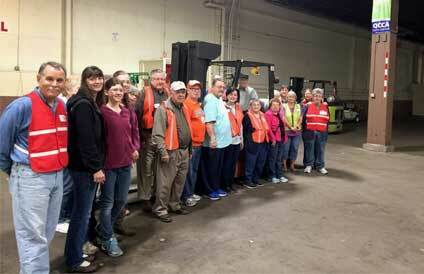 Many volunteers join hands with Kiwanis Club from throughout the QC's. 35 local food pantries are given nearly $100,000 of food each month. 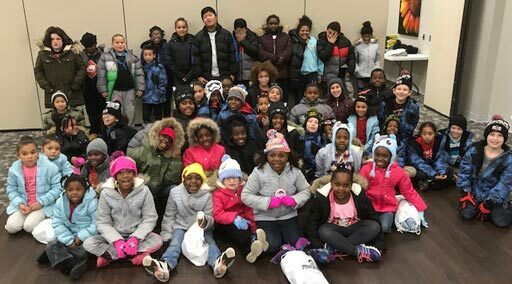 Thank you Midwest Food Bank. See our photo albums for other past events and listings. Every Monday at 12:00 at the Quad City Botanical Center.